Mid City Artists (MCA), a visual art collective in this vibrant residential neighborhood, opens studios on May 17th and 18th for visitors to tour. With studios spread among the Mid City area of NW Washington DC (from Dupont Circle to Logan Circle), the tour offer visitors a rare portal into the artists’ creative habitat and an opportunity to participate in the District’s dynamic and diverse arts community. It is free of charge and offers refreshments as well as good conversation. 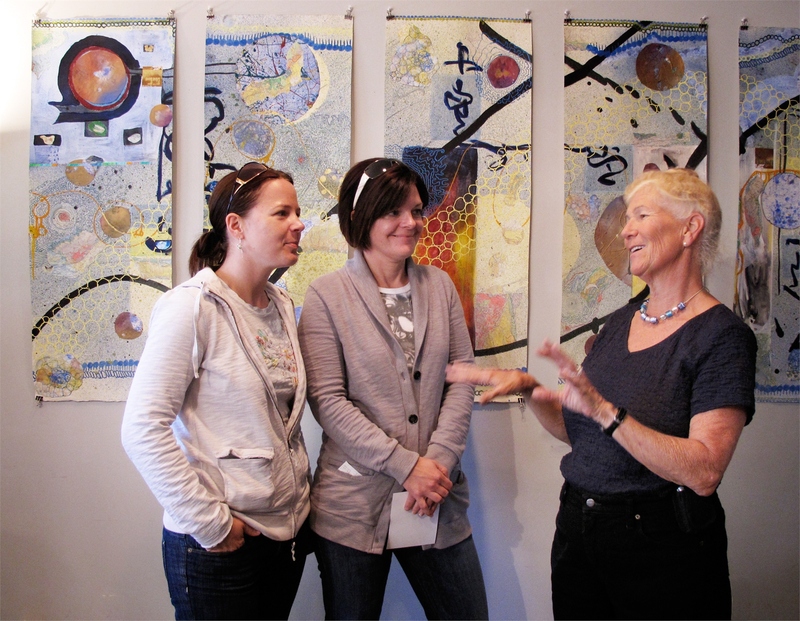 Enjoy a day touring with friends and observing the artistic process. Explore how artists have carved out their working spaces and build your collection from the connections that you make with these artists. This spring for the first time, visitors can use their Creative Genius badge, available from any participating artist, to garner special deals at supporting businesses. Discounts will be given when visiting the individual business and can include deals for local wine, chocolate, clothing and even art. Back by popular demand, MCA has arranged five guided tours for visitors by an art expert to further illuminate the process. Each tour visits different studios and will be a small group of no more than 10 people. These free tours are on a first-come, first-serve basis and must be reserved in advance through the MCA website.